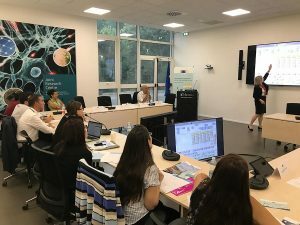 A group of Maltese researchers travel to the European Commission’s Joint Research Centre site in Ispra to share their work in the fields of climate change, environment, and medicine. Cassi Camilleri writes. Communities are built around shared goals and policies. Since its inception the European Union (EU) has worked do just that: bring countries together under an umbrella of prudent principles that guide decisions and achieve rational outcomes benefitting all involved. But the world is not a utopia; systems stumble. Shifting ideologies and political leanings lead to disagreements. Mitigating such discord is the great equaliser—science—stripping away agendas and beliefs and replacing them with facts. This summation could not be more accurate. As I write this, US President Donald Trump’s administration is ploughing on with devastating reversals of climate policies. 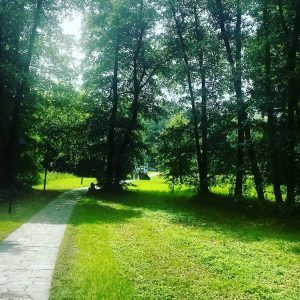 At the same time, environmentally conscious social media users are sharing a slew of articles citing a new study by the JRC which says that if global warming continues to go unchecked, ‘a new super heat wave of 55°C can regularly hit many parts of the world, including Europe and the United States.’ After the heatwave ‘Lucifer’s’ rampage this summer, these words ring truer than ever. With work like this going viral, the JRC’s role and responsibility is starkly clear. When I was invited to visit the Ispra site by the Malta Council for Science and Technology (MCST), Dr. Melchior Cini explained how five inspiring Maltese scientists would be given the unique opportunity to not only get an inside look into its functions, but to present their own research to their European colleagues. I could not get on that plane fast enough. With the support of the Executive Chairman of the Malta Council for Science and Technology (MCST) Dr. Jeffrey Pullicino Orlando, the Malta Young Scientist Award was set up to encourage exchange and to share Maltese research with our European counterparts, contributing to the JRC’s mission. 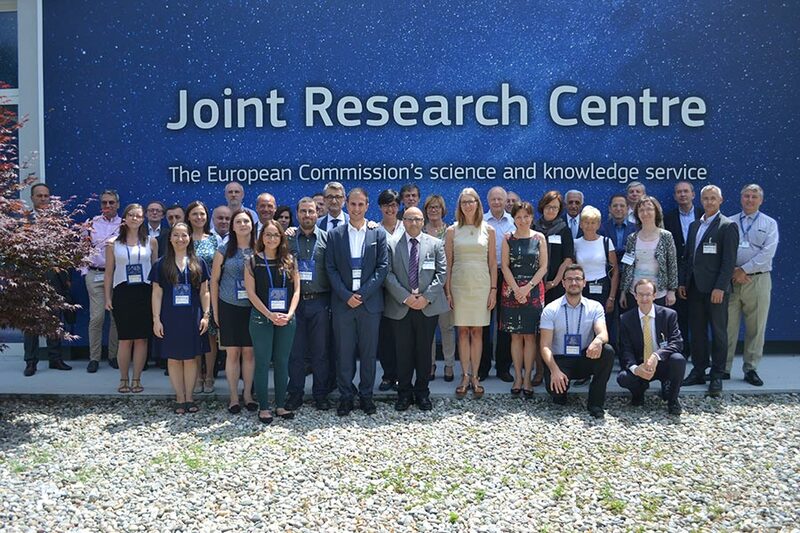 The application process consisted of an initial screening and an interview, following which five winners were handpicked for a study visit to the JRC’s site in Ispra, Italy. And so the team was assembled: Dr James Ciarlò, Sephora Sammut, Joanna Vella, Dr Shawn Baldacchino, and Dr Vanessa Petroni. 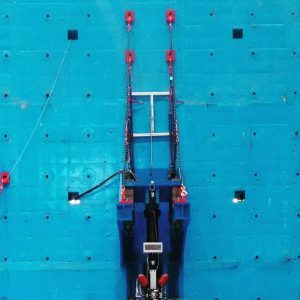 ‘They all work in different areas—climate, rare diseases, geology—which will make things very interesting,’ Cini said. And he was right. Talking to Ciarlò about his work on climate projections, he honed in on a specific problem we have in the simulation of the atmosphere. At the moment, significant assumptions are being made to simplify the task. ‘There are so many organic chemicals, all going through so many changes in their atmospheric lifetime, and all of them influence weather—it’s almost impossible to monitor. Most of the time they complicate studies, so they are put aside,’ he said. However this creates a problem with accuracy in predictions, so Ciarlò developed a state-of-the-art Regional Climate Model that introduces the organic chemical processes as well as the physical properties that cause these particles to affect our climate. Sammut picks up the environmental baton with the first study on Maltese pocket beaches, a very important part of our landscape. Her paper shed light on beach sediment dynamics and how beaches change over time. Wave exposure, geological background, and coastal configuration were found to be important components, but more investigations need to be made in this field to fully understand the ramifications of changes to our coastline and how to protect them. The rest of the team, Petroni, Baldacchino, and Vella, are dedicated to medicine. Petroni and Baldacchino both made research advances in cancer. Through genetic profiling on cancer strains, Petroni discovered novel therapeutic approaches to improve the targeting of breast cancer cells and improve response to therapy. By combining different drugs and treatments, she found that less of each would be needed, thus reducing side-effects associated with each and improving patients’ quality of life. Baldacchino, on the other hand, used biomarkers, features specific to a particular cancer cell that are measured to define different cancer strains, to identify and better diagnose lesser- known cancer strains. Finally, Vella is tracking mitochondrial disorders through time and tracking their prevalence in the Maltese population, all this with the intent of generating a genetic profile for Maltese citizens. Upon arrival at the JRC, we were welcomed by tall trees, a carpet of green grass, and a bold red Maltese cross. The visit coincided with the last few weeks of the Maltese semester, during which Iain Formosa and Romilda Manicolo organised events to share Maltese culture and traditions with colleagues. It was quickly pointed out how the pair were the only Maltese people in the 3,000-strong workforce in Ispra. ‘It would be great if we could have some more Maltese minds in some of our sites,’ Formosa said, expressing his great support for our researchers’ visit and the work they were presenting. Indeed, this feeling was shared by most everyone we met at the JRC. As part of the visit, Ciarlò, Sammut, Vella, Baldacchino and Petroni had the opportunity to shadow leading scientists in their respective areas. From the JRC’s Air & Climate Unit, Dr Luca Pozzoli and Dr Srdan Dobricic, whose work involves monitoring pollution, emissions, and air quality for the benefit of EU citizens, said that ‘while we do not run atmosphere simulations ourselves, we collect outputs from different models and different countries, and try to compare these outputs with observations to validate or make estimates.’ In fact, he added that ‘that is one activity we are going to present to James. It could be interesting for him to contribute to in future.’ The aim is for this data to inform policy and country responses. Similarly, Sammut found plenty of common ground at the Water & Marine Resources Unit where, as Dr Diego Macías explained, numerical modeling tools are developed that allow them to simulate the conditions in European seas under different scenarios. ‘This can be applied to climate change and political scenarios. We try to understand how different options in the marine environment will affect the service and the ecosystem.’ They were a vital part in the development of the EU’s Common Fisheries Policy, which outlines member states’ quotas for the amount of fish they are allowed to catch. Through various market interventions, the EU is encouraging the fishing industry while making sure that their activity remains viable for the fishermen of tomorrow. Lab visits followed, capturing the interest of Vella, Petroni, and Baldacchino. Guided by Dr Pascal Calpo, they were introduced to the facilities that enable the understanding of nanomaterial properties and their interactions with biological systems. The equipment is needed to support the safe and sustainable development of nanotechnology in today’s society. 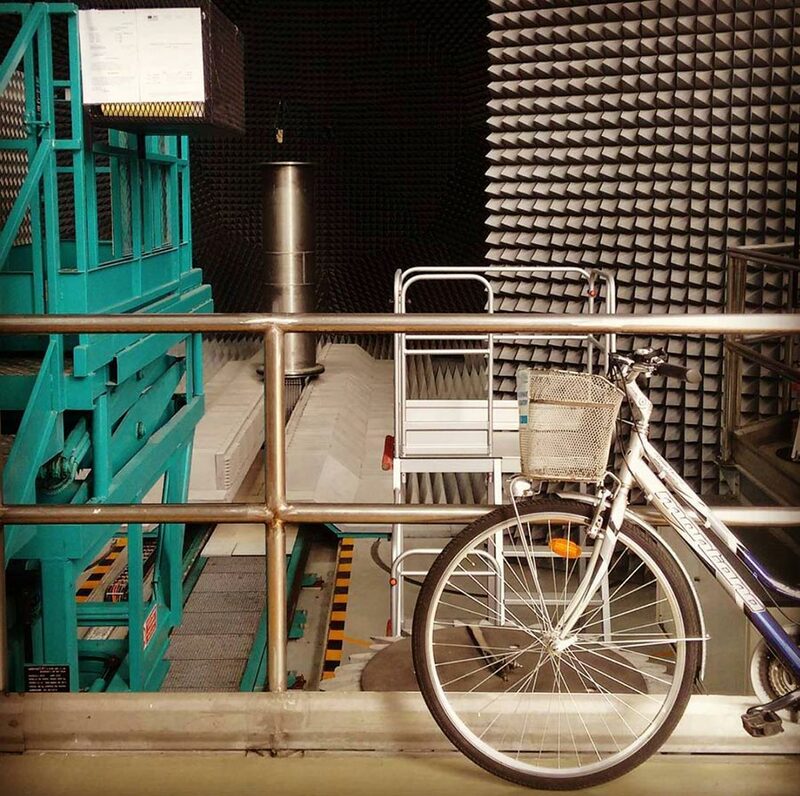 Other labs I saw were the European Microwave Signature Laboratory, home to a state- of-the-art anechoic chamber used mainly to test wireless communication systems, and the European Laboratory for Structural Assessment, which works on the harmonisation and risk mitigation in construction. What is impressive here is that the labs at the JRC are being opened to researchers all over the continent. Access to the laboratory is being offered to researchers from academic, public, and industrial laboratories based within EU Member States and Horizon 2020 associated countries. The prospect is brilliant—many Maltese researchers expressed interest. The highlight of the visit was the Maltese scientists’ presentations. As the crowd was gathering, among them JRC’s board of governors, Director General Vladimir Sucha opened the floor for Malta’s researchers. He stated that this was an excellent opportunity for Malta’s voice to be heard through their research. Following his thanks, the five chosen ones took centre stage and shared their work to much applause. The Malta Young Scientist Award was a great opportunity for the UM’s researchers, both to bring their valuable work to light and to create links with European colleagues. The ultimate result will be these young researchers joining the team at the JRC in future, representing Malta as they contribute directly to the effort to inform policy at the local and European level. The human race has an insatiable hunger for knowledge. As centuries roll on, it shows no sign of abating, with new discoveries bringing forth more questions than they answer. What is certain is that facilities like the JRC and the bright minds of the researchers housed within are certain to help us work through them one by one. Time could not be more pressing. Level up! Upgrading game-based learning Food Indulgence: There’s an app for that!